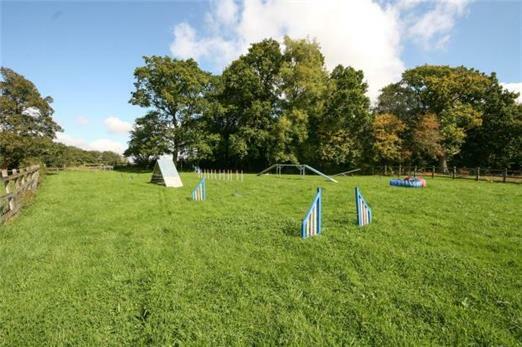 WITH LAND - Charming equestrian and/or smallholding opportunity. Set in under 1 acre (TBV*) with adjoining paddock and stable yard, an immaculate semi-detached cottage with 3 bedrooms PLUS planning to add a 2 storey extension & replace the garage. 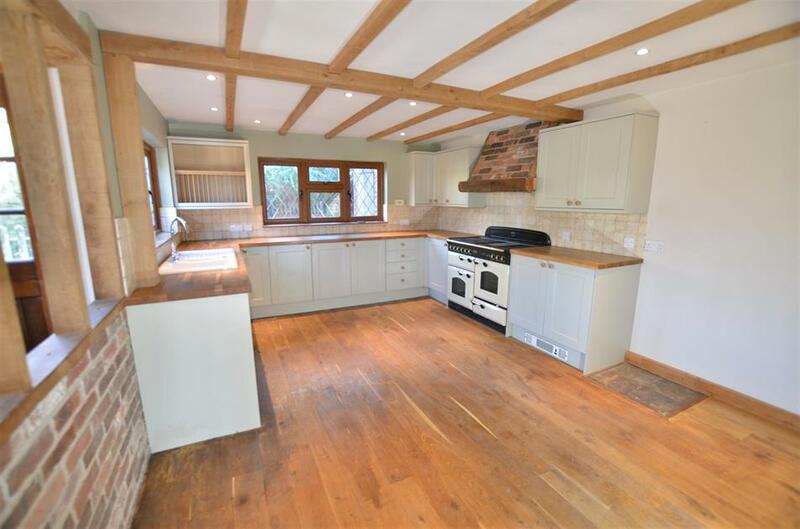 Situated off a lane in a rural location with views from the grounds/first floor, in this highly desirable postcode on the borders of West Kent, Surrey and Sussex. 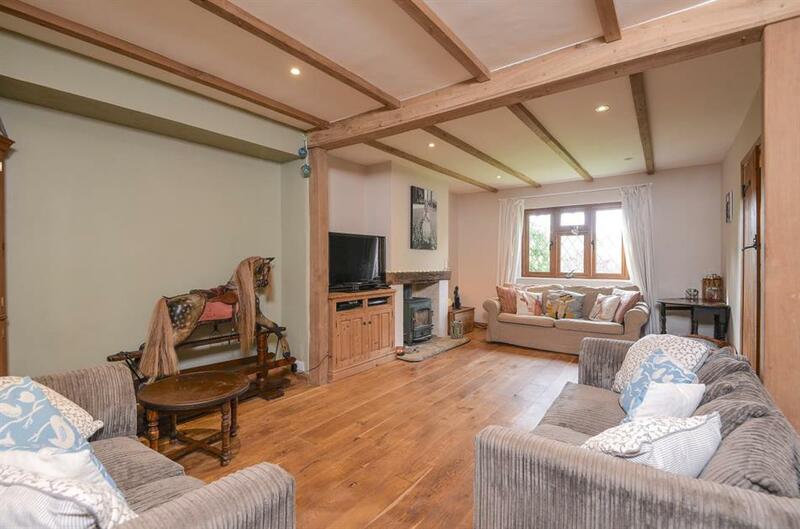 This lovely character home has been tastefully decorated boasting a range of features throughout such as exposed wall and ceiling beams, timber and tiled floors and fireplace with Woodburner. 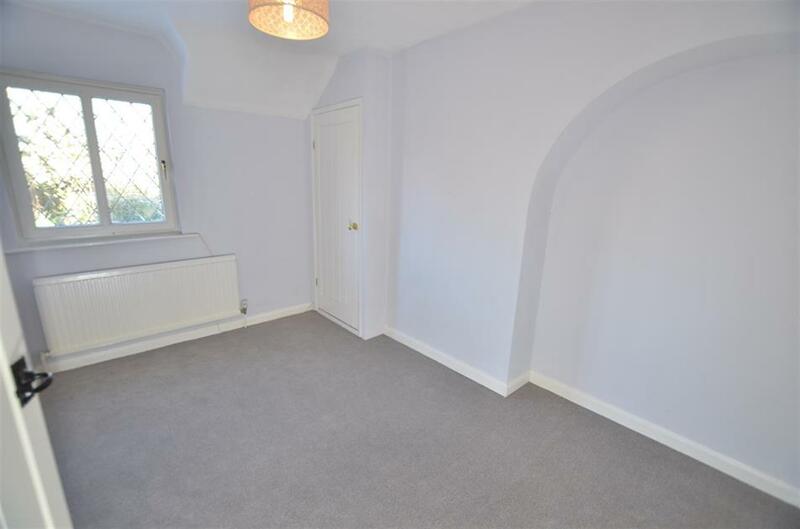 Current accommodation: Ground Floor: Kitchen & Breakfast room, separate utility room, sitting room open plan into dining area, downstairs cloakroom and shower room. First Floor: 3 double bedrooms and family bathroom. Outside the property is approached to the front onto a parking area to one side with double garage (PP to erect a new garage if required). 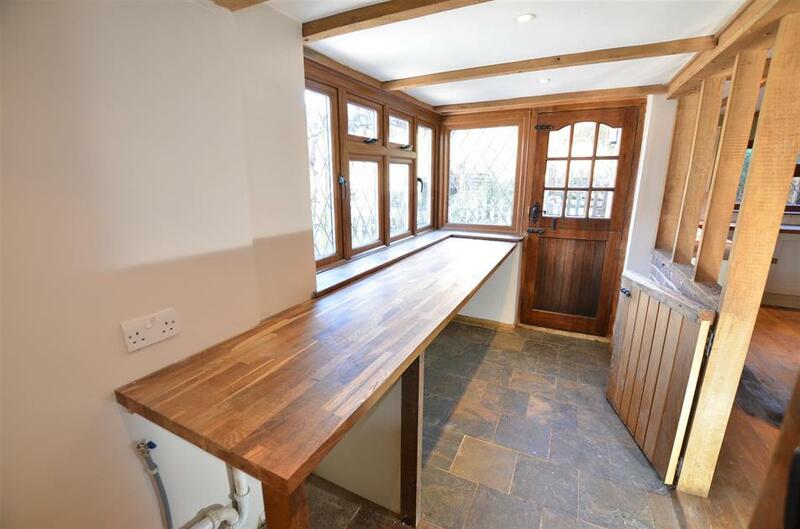 Access can be gained to the grounds to the rear which include a Summerhouse, pond, chicken run and vegetable patch plus adjoining paddock and stable block including 4 loose boxes. (N.B. 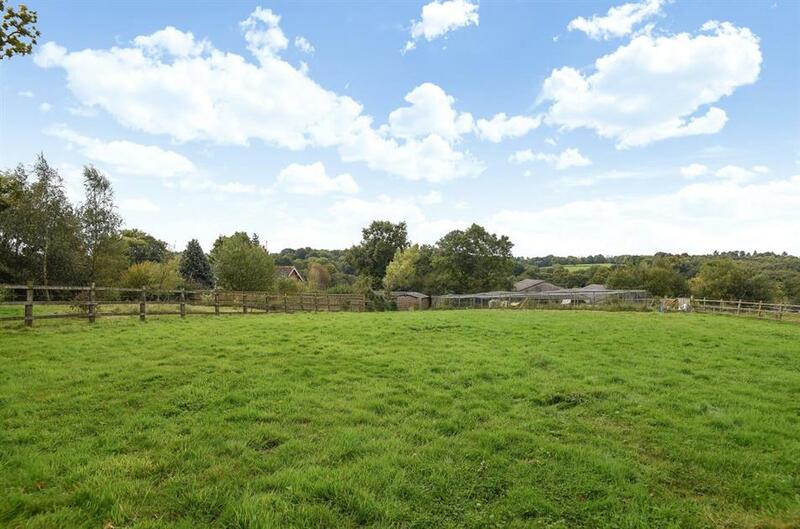 Although the equestrian area is quite compact the neighbouring property has further grazing land which it may be possible to rent by separate arrangement). For riding out and country walks you are spoilt for choice in the area being surrounded by bridleways and footpaths. NO CHAIN. 17/02731/HOUSE Erection of a two storey side extension granted OCTOBER 2017. 17/00719/HOUSE Replacement garage granted MARCH 2017. Please request the pdf documents from Equus or go to the local authority planning portal to see the full permissions. STABLE BLOCK - 4 Timber loose boxes (three - 12ft x 12ft / one - 14ft x 14ft) on concrete with enclosed post and railed yard. Power and water laid on. 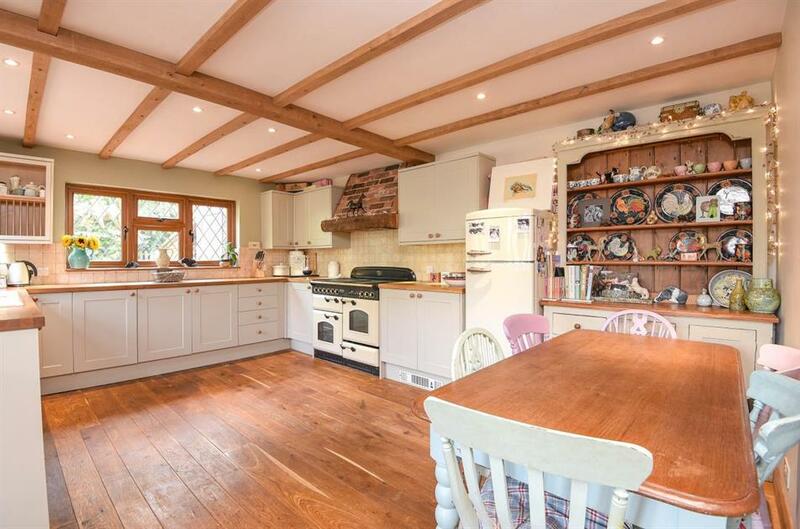 The property is close to the four county boundaries of East and West Sussex, Surrey and Kent and occupies a rural location on the outskirts of the picturesque village of Cowden with its public house and Church. Cowden Station is approximately 2.7 miles away. Edenbridge town centre is approximately 5.9 miles with a choice of shops and leisure centre; East Grinstead is approximately 5.7 miles and Tunbridge Wells is approximately 10.1 miles. Junction 6 of the M25 is approx. 11 miles to the North, Junction 10 of the M23 is approx. 10 miles away, Gatwick airport is approx. 14 miles West and Central London is approx. 32 miles North. The area in which the property is situated is recognised for access to a number of recommended schools including: Brambletye, East Grinstead, Ashdown House, Cumnor House, Danehill, Holmewood House, Tunbridge Wells, Lingfield Notra Dame, St Leonards, Mayfield, Brighton College, Eastbourne College, Ardingly College, Haywards heath and The Tonbridge School. The property is also close to the Sussex Border Path - A long-distance footpath in southern England that connects Thorney Island to Rye. The main path is 222 km (138 miles) long, with an additional 33 miles (53 km) spur known as the Mid Sussex Path which links Weir Wood Reservoir with Mile Oak in the city of Brighton and Hove. The footpath uses existing rights of way to follow the Sussex county border and is waymarked. 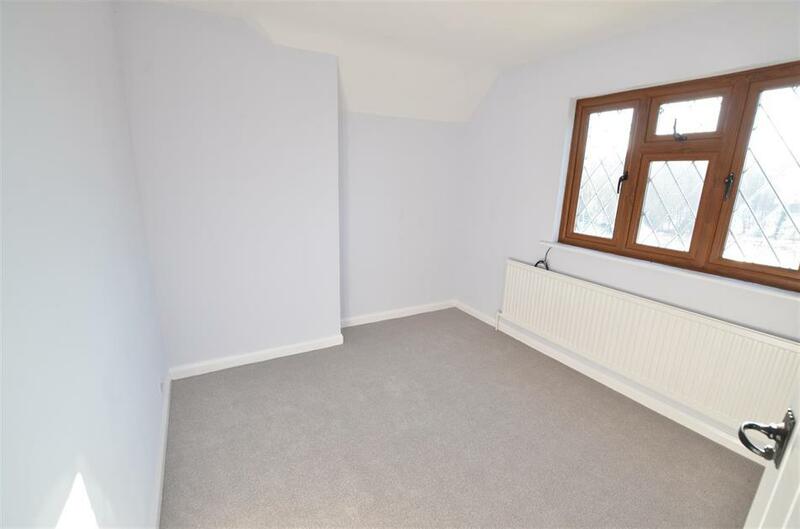 The property has all been re-furbished and has new carpets throughout. The whole has assorted period features with exposed beams to the ground floor and walls. SITTING ROOM - 20' 11' x 12', with beams and a wood burning stove/fireplace. 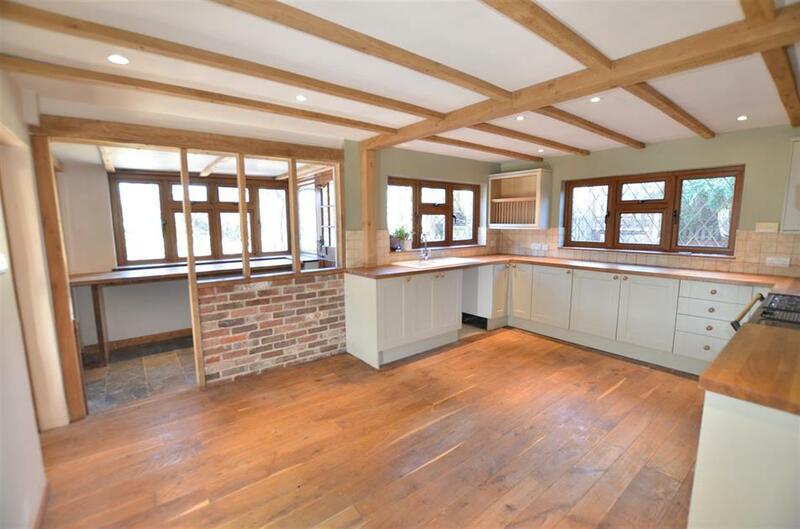 KITCHEN AND DINING ROOM - 16' 7' x 12' - beams throughout to the ceiling and exposed to some walls. 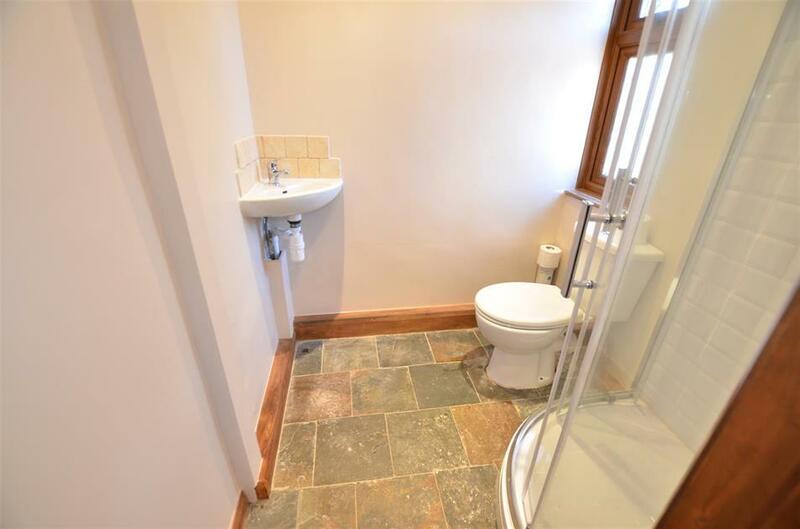 UTILITY ROOM - 13' 7' x 5' 7'with space for under counter white goods and door to WC/SHOWER & CLOAKROOM. 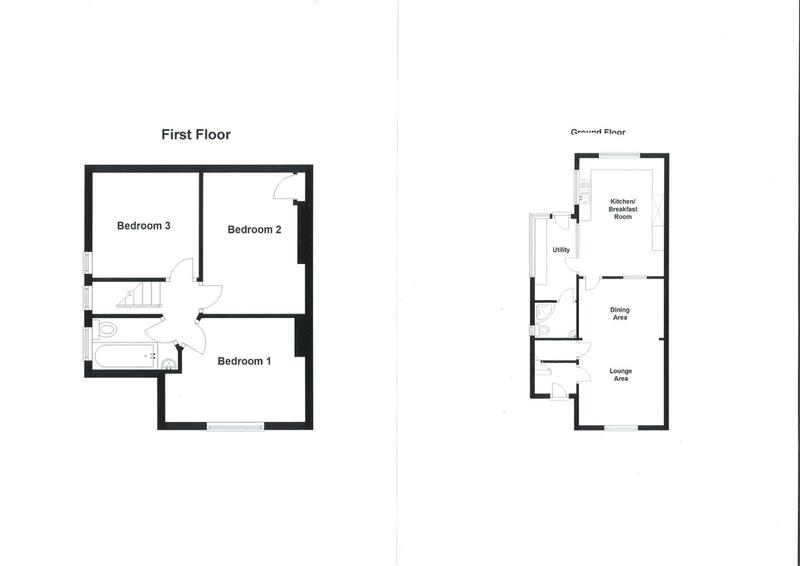 BEDROOMS 1, 2 & 3 range from 12' 2' to 12' 9' and 9' 2' to 9' 4'. 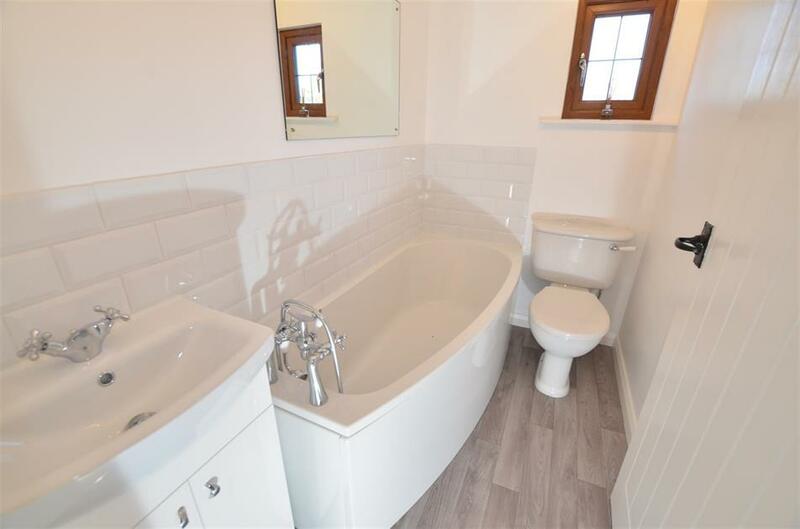 FAMILY BATHROOM - All white with vanity wash hand basin, WC and bath. The whole site sits in Approx. 0.8 acres. This includes the front drive/garages/house/buildings/gardens and open pasture to the side and rear. The acreage stated at the property is *TBV (To Be Verified), which means that the land has not been formally measured by Equus and or its sellers/clients. Where available a Title Plan from Land registry will have been acquired showing the boundary and acreage. Otherwise an online measuring tool will have been used to check the acreage where possible. Interested applicants/buyers are advised that if they have any doubts as to the plot size and wish to have verification of the exact area of the entire plot, they will be required to make their own arrangements at their own cost by appointing the services of an accredited company who can measure the area for a compliant Land Registry Title Plan. From Cowden village High Street keep straight on towards Furnace Lane (as if going towards East Grinstead in a westerly direction) for approx 0.5 mile and then turn right into Furnace Lane. Continue for approx 1.5 miles and the property will be on the right. The property is set well back from the lane and up a slope.